HTC is in an interesting position as a result of this last product cycle. While the previous HTC One series’ industrial design and performance was top notch, other OEMs still managed to eclipse the One series in terms of market adoption and consumer perception. Getting back to being a solid performer and cementing a place as at least the dominant number three player in the smartphone space is HTC’s mission for 2013, and the flagship device it’s starting that out with is the device previously known as M7, now known simply as the HTC One. The choice of the HTC One name really emphasizes how much this launch means to HTC — this is the canonical One. 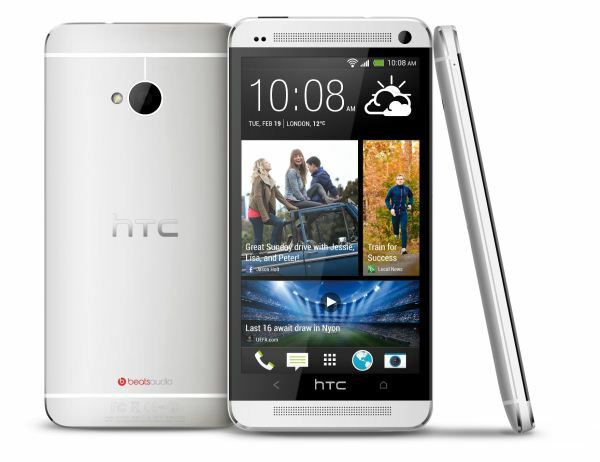 This is the fullest expression of HTC’s view for what the One lineup should mean, this is their flagship. The One is a clear evolution of the industrial design first begun with the Butterfly and DNA, except instead of plastic the One is machined from a single solid block of aluminum. There are over 200 minutes of CNC machine cuts per device, which is a unibody construction. Plastic is injected into the aluminum block after certain cuts are made for the back case, which then gets machined into the final form. The One uses the top and bottom aluminum strips for antennas, both of which are actively tuned to mitigate unintended attenuation from being held. There’s a plastic insulative strip in-between the two antennas and the main body. In spite of being aluminum, the One also includes NFC, whose active area surrounds the camera region. There’s no wireless charging from Qi or WPC, however. In the hands the HTC One has the kind of fit and finish that I’d expect from a high end device. I thought that the One S was perhaps the best industrial design of 2012 in part thanks to the metal backside, unique concave shape, and size. The truth is that the HTC One feels even better than that. 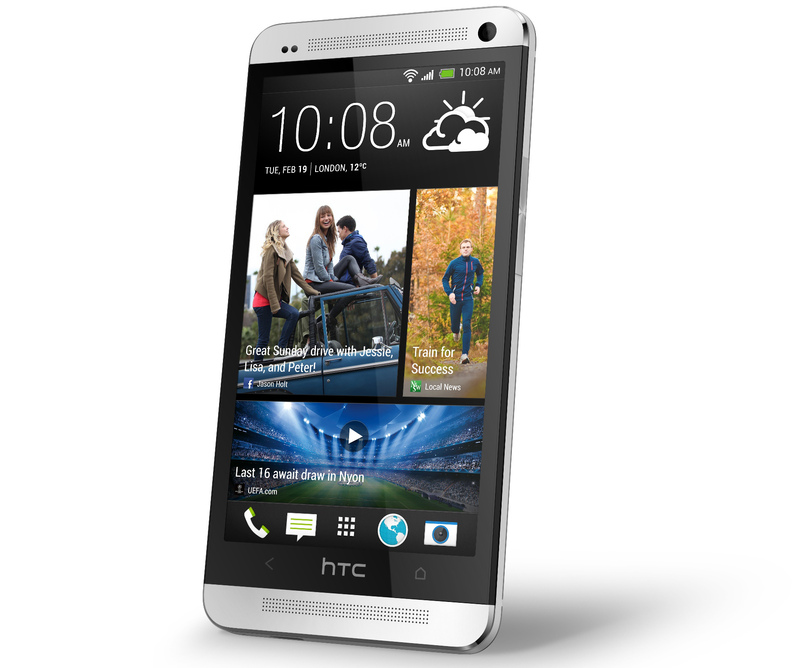 There’s something inescapable about metal — HTC described it as expensive and luxurious feeling, like a well crafted tool. Other OEMs with metal phones like to evoke imagery of watches or high end jewelry. I think at some fundamental level metal does imply value, and as a result it conveys a much higher end in-hand feel than other entirely polycarbonate plastic designs. There’s a thin strip of plastic which runs around the edge of the device, and it’s here that the microSIM tray, ejection port, primary microphone, microUSB port, power/lock button (which doubles as IR transmit and receive), earphone jack, and volume rocker sit. The front has two aluminum pieces which serve as the speaker, microphone, and earpiece grilles. The HTC One will come in both an uncolored silver version, and anodized black. The One is topped with a 4.7-inch 1080p Super LCD 3 display. We’ve said that 2013 is going to be the year of 5-inch phones, and 4.7 is just shy. I think there’s something almost optimal about the device size that results with a 16:9 display size just short of 5-inches diagonal. It’s still possible to one hand if you have medium sized hands, easy to pocket, and still not laughably huge. The HTC One at first glance might seem reminescent of another big metal unibody device, but in the hand couldn’t feel any more different. The convex rounded back side gives the One an entirely different in-hand feel, and the edges have a slight negative angle to them in addition to two chamfers. Rather than place the primary speaker on the backside of the One, HTC has placed a set of speakers on the front of the device, one at top, one at bottom, behind the two grilles. These two provide stereo sound, and placing them on the front instead of the bottom or back makes a lot of sense for things like watching video, Google Navigation, and listening to music. The One also has dual microphones for noise rejection on calls, and also two different microphone pairs for accommodating low volume and high volume environments when recording audio. For example the commodity microphones generally included in a smartphone saturate around 70 dBA, HTC claims the dual microphone system on the One can accommodate up to 120 dBA SPL (Sound Pressure Level) without saturating. and now they are going to completely forget about their last phones (no android nor sense updates). >If I had enough money I would send each of you a DNA to judge for yourselves. O.K. so on an average day you can commute 2x30 min with navigation, 1h talk and 1h look at your calendar and messages, 1 h read your e-mail or browse the web and you are still dead next morning. That User Experience is horrible! Give me the option to double the battery size (Motorola got the idea with the MAX), I'm willing to take the size/weight consequences.